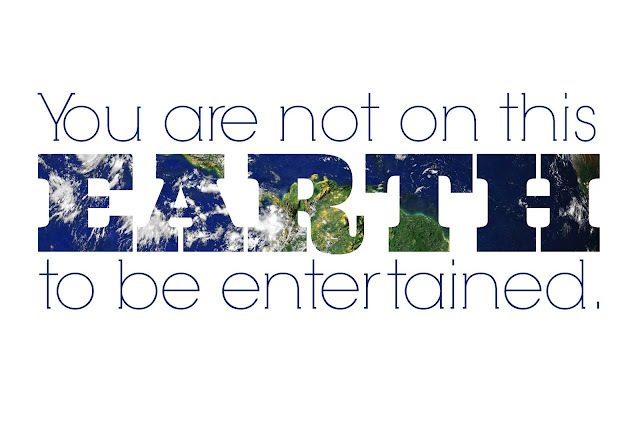 "You are not on this earth to be entertained." We're here to love, to serve, to dream, and to learn. Find your purpose, and then live your life on purpose. Can you imagine how wonderful life could be for everyone if we stopped expecting to be entertained all the time and took some time to serve, instead? !